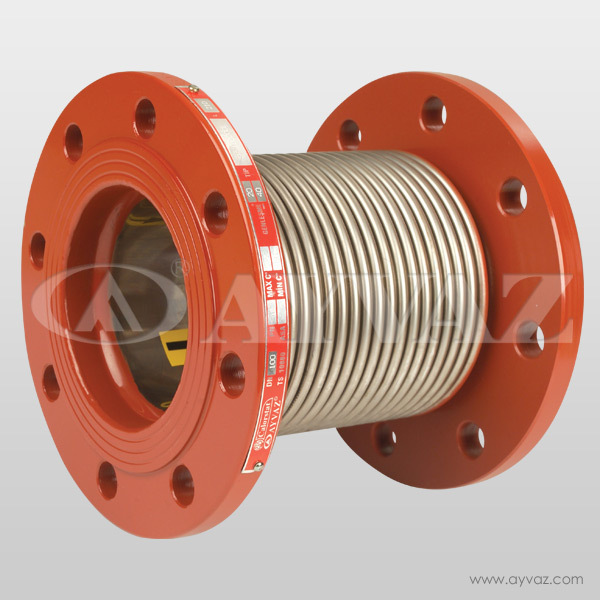 Gimbal type expansion joints are designed to permit angular rotation in any plane by the use of two pairs of hinges affixed to a common floating gimbal ring. 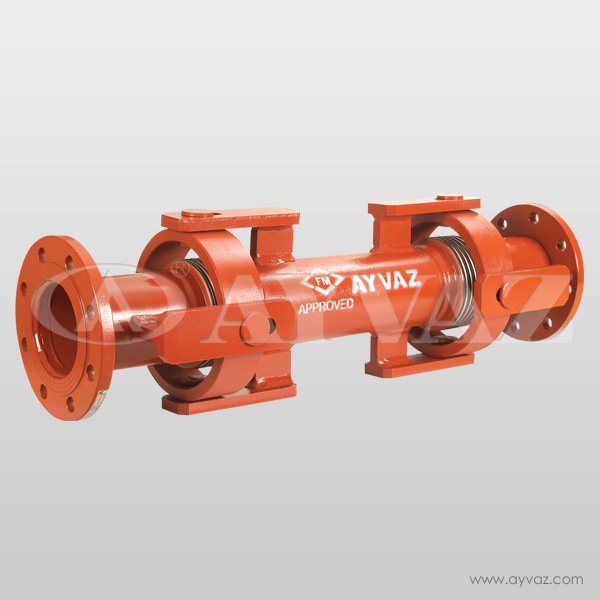 Simply, a double gimbal expansion joint is consisted of two single gimbal expansion joints and an intermediate pipe connects them each other. The advantage of this arrangement is the ability to absorb a large lateral movement in any plane at each end. 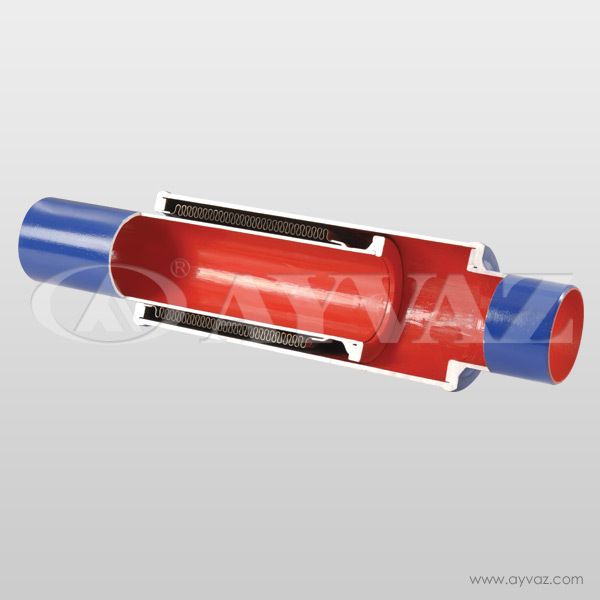 Because the gimbals are attached to each end of the bellows, the thermal expansion of the intermediate pipe will not be absorbed by the universal but must be accepted by the adjacent piping. 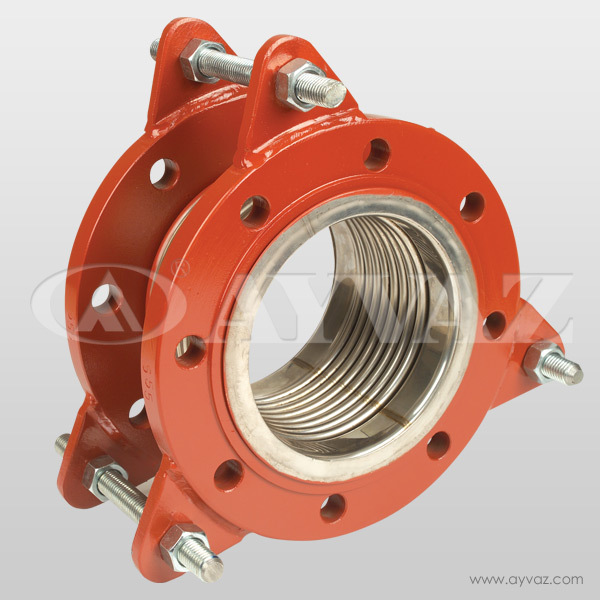 This type of expansion joints are used to absorb axial and lateral movements in all planes. 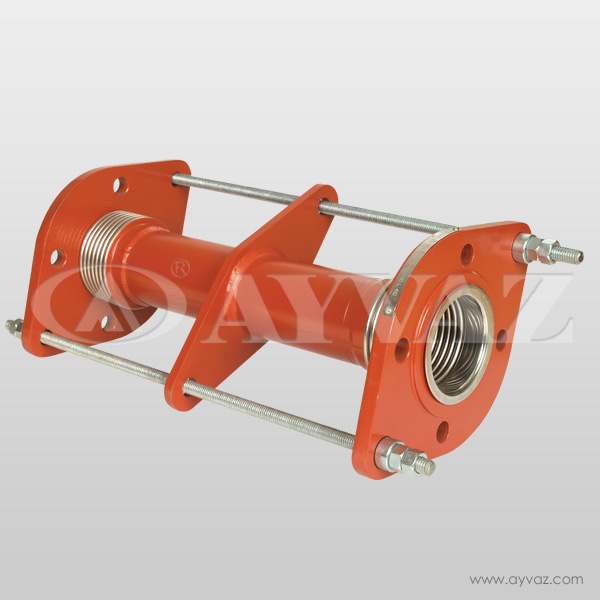 The amount of lateral deflection depends on the convolution number of the bellows on each side of the expansion joint. 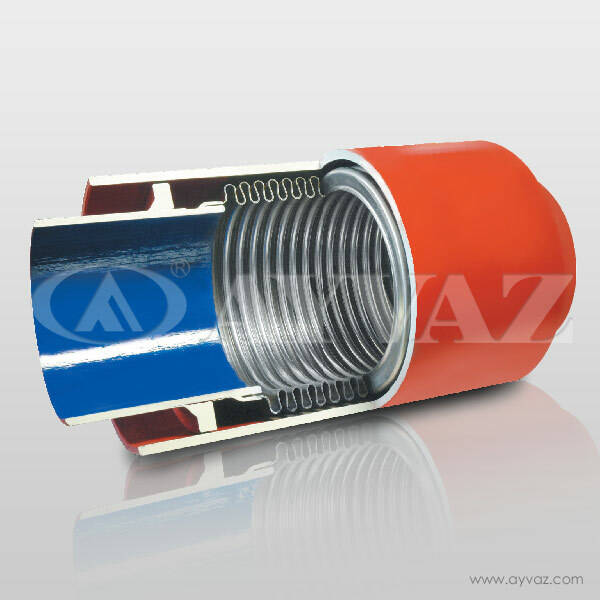 This amount can also be increased by changing the length of the intermediate pipe. Hinges and gimbals provide proper positioning and prevent installation inaccuracies. 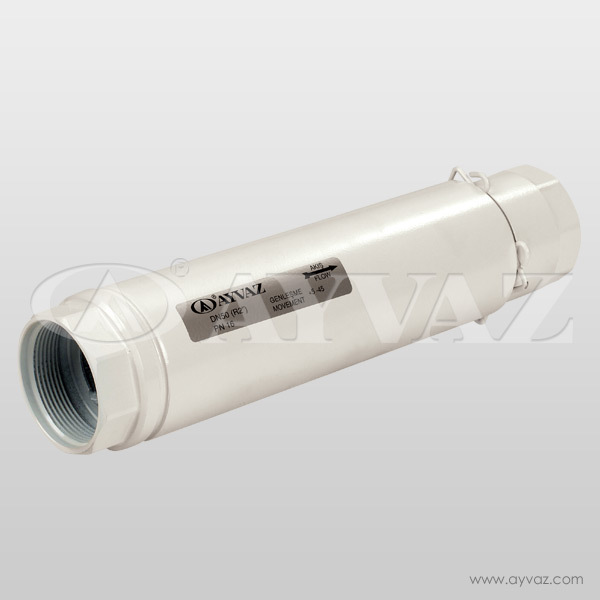 • Protects the pipeline systems against collapse and breakages by compensating seismic motions (earthquake) and large lateral and angular movements. • Movement of bellows is more controlled. 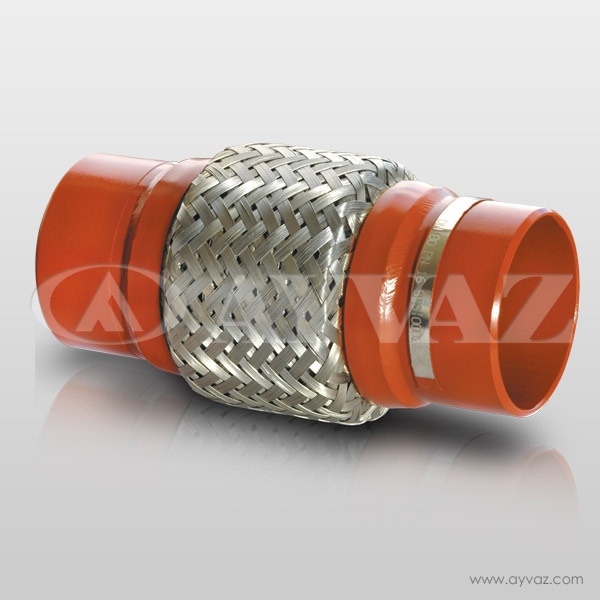 • Internal flow liners for eliminating velocity problems may be fitted. • Anchors only require to absorb spring forces.